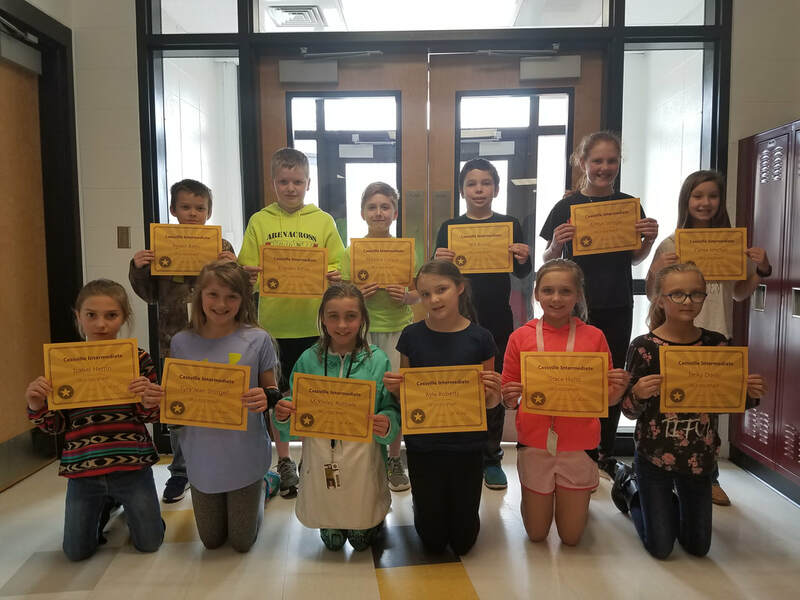 Each month, Cassville Intermediate counseling staff and classroom teachers work together to present a different character trait. For the month of March, they focused on self-discipline. Classroom teachers then nominated students based on that trait. Third grade character education winners for March are pictured above. From left to right, in the front row: Anabele Mills, Rylee Hill, Taylor Kennedy, Audrey Kennedy, Shayla Stouder, Libby Corter, Isabella Bauman and Alyssa Thomasson. Back row: Tyler Matthew, Cannon Rose, Ricky Norris, Roper Taylor, Tyller Isbel, Hayden Hernandez and Darrious Luper. Each month, Cassville Intermediate counseling staff and classroom teachers work together to present a different character trait. For the month of March, they focused on self-discipline. Classroom teachers then nominated students based on that trait. 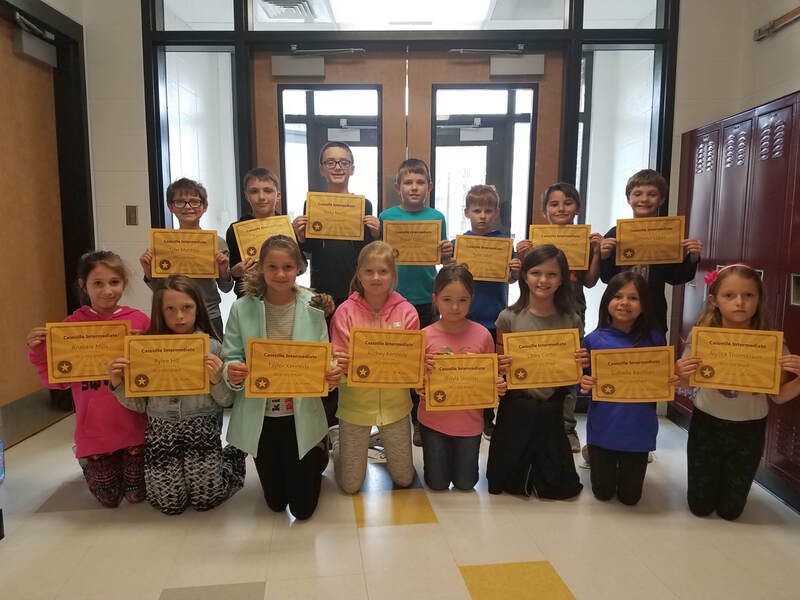 Fourth grade character education winners for March are pictured above. From left to right, in the front row: Isabel Herrin, Tyra Jean Sturgell, McKinley Runnels, Ayla Roberts, Grace Hurst and Jacky Dover. Back row: Ayden Bates, Brayden Ennes, Maddox Cooper, Will Brooks, Ashlyn Stringer and Carlee Mitchell. Each month, Cassville Intermediate counseling staff and classroom teachers work together to present a different character trait. For the month of March, they focused on self-discipline. Classroom teachers then nominated students based on that trait. 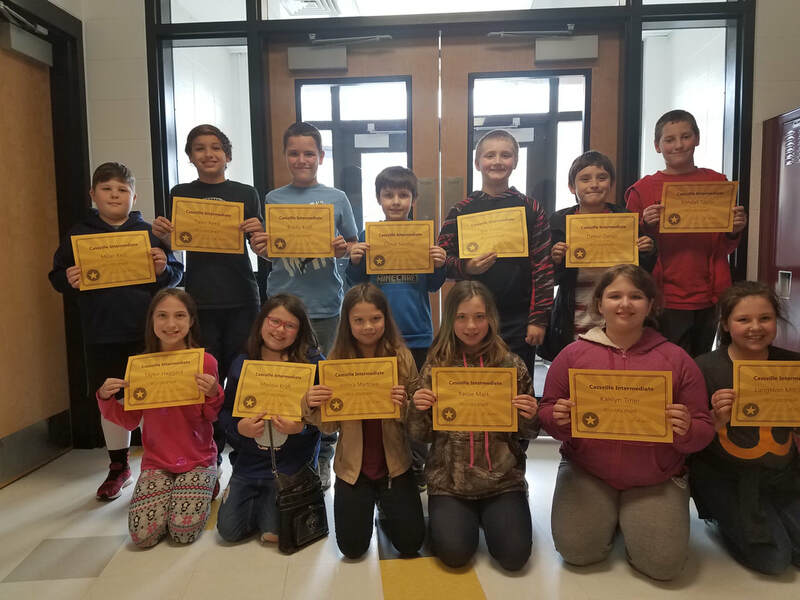 Fifth grade character education winners for March are pictured above. From left to right, in the front row: Taylor Haggard, Maddie Kraft, Jessica Marlowe, Kelsie Mark, Kaitlyn Tiner and Langston Mitchell. Back row: Miller Reid, Talen Reed, Bradly Kraft, Cloud Swolley, Eric Foster, Kendall Taylor and Dalton Deiser. Not pictured: Izzy Burton.